Welcome to this edition of News for the Week—a look at boomer travel ideas, news and deals. 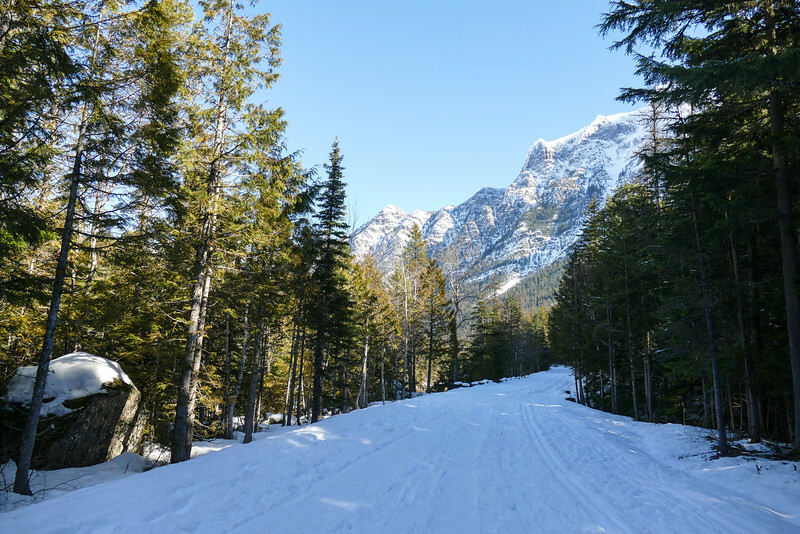 A winter trip to Glacier National Park means less crowds and gorgeous snow-covered scenery. Hello from Montana! Alan and I arrived last Saturday to discover that the Bitterroot Mountains are already decorated in snow. We even had an inch or so at our house this week. A snowy view under a bright, blue sky made for some gorgeous walks. As we head into the holiday gift giving season, Nicole and I will be sharing our gift guides with you. Of course we don’t share them until they are updated, including making sure that prices are correct, the items are still available and, most importantly, that we still approve of the products enough to buy them ourselves. Thanks, in advance, for shopping with us. And if shopping isn’t your thing, hold on. By mid-December, the push will be over. In the meantime, we’ll still be publishing travel destination inspiration and tips for you. It’s already November so that means its time to start planning for the holidays. We’ve published our 20 under $20 Travel Gift Guide this week, so you should be one step ahead. And that means more time for you to plan a fun holiday adventure. If you need a little inspiration, check out this fabulous list of top ten places to visit for Christmas this year. If you’re not signed up yet for our monthly travel newsletter, get on it! December’s edition will feature our best travel tips! Yes, it’s getting to be that time of year again! Christmas is just around the corner. So, in hopes of saving you time so you can actually enjoy the holidays this year, we’ve published our 20 under $20 Travel Gift Guide. Have fun picking out a few special items for that special traveler in your life. Better yet, get a few things for yourself! And if you want to see every item we’ve ever recommended (that’s still for sale) in the 20 under $20 gift guide, check out Donna’s Traveler Gifts under $20 list at Amazon. You’ll find 84 recommended gifts! Looking for a great European destination that keep you away from the crowds? Check out guest post this week on fun things to do in Bruges for boomer travelers! Donna just gave this sweet article about a unique river cruise excursion a much-needed makeover: Exploring the French Medieval Village of Perouges. Looking for an economical vacation home for your snowy vacation in the U.S.? Take a look at this list from VRBO. From InterContinental Hotels Group: Book Your Holiday Vacations NOW & Save up to 15% with Your Rate! Are you looking to save money on upcoming travels? Send us an email. We’ll check our resources for you. If you’re looking for some bucket list ideas, look no further. Check out this list of the 50 Most Beautiful Small Towns in the USA. What a great list! Don’t start your cruise exhausted after a long international flight. Cruise Critic shares tips for how to get over jet lag before your cruise. Already thinking about next year’s national park trip? Here are 10 of the most scenic national park drives. That’s all for now but we really want to hear from you. If you have a question about travel or suggestions for our next boomer road trip eguide, please send an email through our contact page. Presently living in Madrid, Nicole enjoys the guilty pleasure of forcing her cute Spanish husband to take her to various European cities in order to explore beautiful cities, profound history, and distinct cultures that can be found throughout Europe. Her travel articles and photos have been published in various publications as well as her own blog, Pass the Ham. And of course, she's currently enjoying her post as assistant editor at My Itchy Travel Feet.